The Schoolwide Enrichment Model (SEM) is a tool for total school improvement that allows each school to keep its unique characteristics, personality, and culture. It is a research-based model with roots in gifted education with goals to provide challenging high-end learning that is enjoyable for all students. The Schoolwide Enrichment Model at Oakville Christian School is comprised of the 3 main components below. The Total Talent Portfolio (TTP) is a pedagogical component of the School-wide Enrichment Model (SEM) that allows teachers to focus on student strengths rather than deficits. Information about a student’s talents, learning styles, interests, expression styles, etc. is collected using various assessment tools. This information is compiled into a folder specially designed for each student, and is used to make decisions about learning opportunities for the student. The Total Talent Portfolio includes an interest inventory, which allows assessment and documentation of student interests so teachers and students can make important instructional and learning decisions. Examples of such interests might be fine arts, literature, history, musical composition, photography, technology, physical or life sciences, politics, etc. There are two ways for a teacher to think about student interests. The first method allows a teacher to get to know students and bring the classroom to them. Through the sharing of personal interests, the second method allows the teacher to create new potential interests in his or her students. Another component of the Total Talent Portfolio is a learning style inventory. This inventory is a method of assessing and documenting a student’s learning styles (according to Gardner’s Theory of Multiple Intelligences) so that teachers and the student can use the information to make instructional and learning decisions. The TTP may also contain sample student work added throughout the school year, either by the teacher or the student. The work samples demonstrate new learning and development in the student’s academic progress. 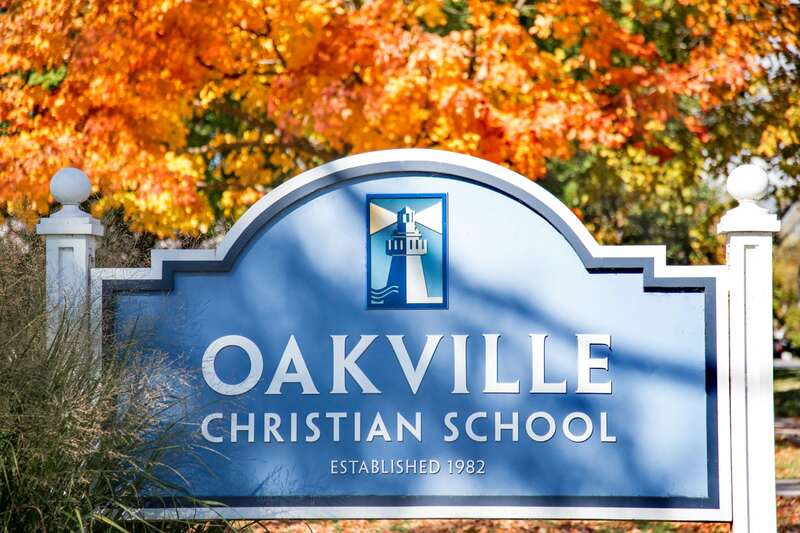 For the past few years, the teachers at Oakville Christian School have taken part in collaborative and independent professional development opportunities on the topics of ability grouping, small group instruction, differentiated instruction, and curriculum compacting. These are all curriculum modification techniques that are valued and implemented, and that best help us to reach our goal of providing challenging high-end learning that is enjoyable for all students. Enrichment activities in the Schoolwide Enrichment Model have 3 different classifications. Type I enrichment activities are general exploratory experiences which are designed to grab the interest of students and include a variety of disciplines, topics, ideas and concepts. General cognitive skills such as creative problem solving, critical thinking, decision making. Affective skills such as sensing, appreciating, valuing. How-to skills such as note taking, interviewing, analyzing. Research skills such as researching directories, use of technology, writing bibliographies. Written, oral and visual communication skills. One way that OCS has chosen to meet the need for research skills in classrooms is through the implementation of the Independent Investigation Method (IIM). IIM is a step-by-step process that involves students conducting their own research. IIM can be differentiated according to grade level, skill level, and academic ability needs. Using IIM, students are taught how to find reliable sources, document sources in MLA format, record point-form note facts in their own words, and then organize those notes to create written documents, posters, PowerPoint presentations, and other document styles. In the primary and junior grades, note facts are written on paper to be sorted manually and then written as organized paragraphs. In the intermediate grades, students learn to create note fact lists on the computer and use the “cut” and “paste” features to transfer their own notes into organized groupings that can then be made into paragraphs. Type III enrichment involves individual or small group investigations of real problems. Sometimes a Type III takes place when one student investigates a real world problem and creates a real product or service and presents this to a real audience. Sometimes Type III enrichment activities take the form of enrichment clusters. Enrichment clusters are multi-age groups of students who share common interests and come together for a designed block of time to explore those interests. Rather than teaching the students, instructors facilitate clusters. Clusters are driven by students to produce an authentic product or service to a real-world audience. Enrichment clusters are designed so that students have the opportunity to solve a real-world problem. Real-world problems first require a personal frame of reference for the students pursuing the problem. Something that is considered a problem for one individual may not be a real problem for others. A problem is considered “real” when an individual (or group) decides to do something to address the issue. As well, real problems do not necessarily have an existing agreed-upon solution or right answer, or prescribed strategy for a successful resolution. If there are standard solutions, then they are not real-world problems, but rather, training exercises. Employing the methodology, knowledge, and materials typically used by investigators or others working in similar disciplines, real-world problems are addressed using authentic strategies. Type I Enrichment exposes students to new topics, arousing their interests. Some examples of Type I enrichment experiences are interest development centres, special speakers, or field trips. Type II Enrichment involves learning the skills related to a topic. Type II enrichment provides instructional methods and materials to help students solve problems, document findings, and present learning to an audience. Type III enrichment is the highest level of the three enrichment experiences. Type III enrichment involves investigative activities and artistic productions in which the learner assumes the role of a first-hand investigator. Students emulate practicing professionals in the field of research. For the past few years, OCS has provided the opportunity for our students to be engaged in enrichment clusters two times per year. Previous enrichment clusters include: Kitchen Chemistry, Lights, Camera, Action! (videography), Robotics (LEGO Mindstorm), Telling Tales (story telling and drama techniques and performances), and Don’t Get Lost (orienteering). The Schoolwide Enrichment Model has become a natural component of every aspect of how we “do school” here at OCS. For us, it is a total school improvement tool that has allowed us to keep our unique characteristics of community, discipline, and excellence – helping us provide the best possible education for our students. For more information please browse the many articles, testimonials, and research reports on the SEM website.